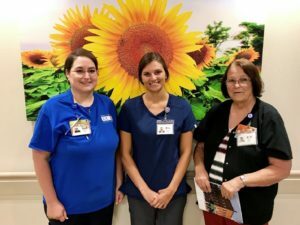 Instead of this young woman moving away to Manhattan or Kansas City, through the completion of her community internship, she was able to find employment back in rural Kansas, at a hospital that she had not heard of before the internship. Finding quality employees in rural hospitals is a great benefit to the local community and county. The Hansen Foundation funds a number of internship programs to expose young people to the opportunities in NW Kansas.